ST. 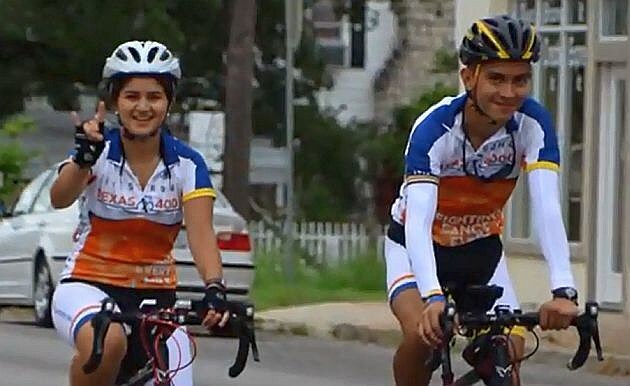 CLOUD – A group of college students from Texas will be riding their bikes through St. Cloud tomorrow (Wednesday). The longest annual charity bicycle ride in the world, the LiveStrong Texas 4000, will arrive at St. Cloud State University late in the day tomorrow, peddling up from the Twin Cities. Now in it’s 10th year, the 69 student riders began their journey in Austin, Texas on June 1st. Their 70-day, 4,500 mile journey, will end in Anchorage, Alaska. In the ten years of the bike ride they’ve raised more than $4 million for the fight against cancer. They’ll stay in the SCSU dorms tomorrow night, then they’ll leave on Thursday on their way to Fargo.